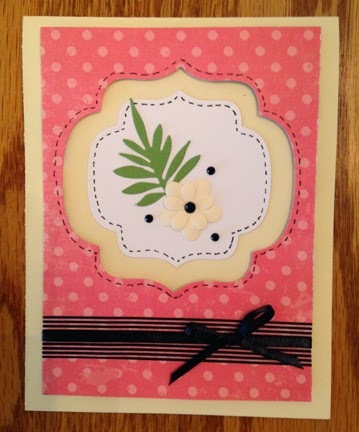 This card started with a piece left over from the flip it card I posted yesterday. The patterned paper is popped up and I used the same label in a smaller size for the focal piece. The flower and leaf are die cut. I added washi tape and satin ribbon and did some pen work around the edge of the labels for definition. Sometimes leftovers are just too good to toss.